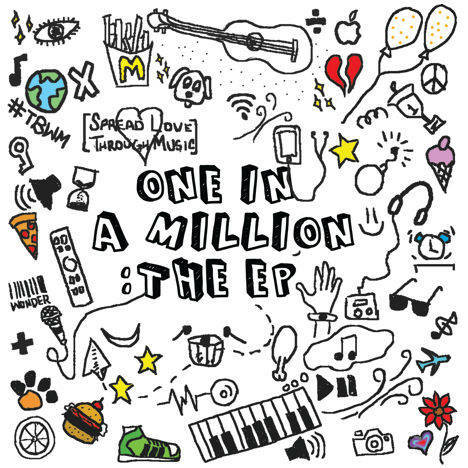 One In A Million: The EP | Sidharth Bendi | OK Listen! One of Hyderabad's youngest independent singer-songwriter, Sidharth's songs revolve around simple life's experiences as a teenager. As a Acoustic Pop artist, his music focuses on melody and harmony and intense vocal layering to make his music standout from the rest, a great vibe and foot tapping music steadily grow's on you. His first EP - " One In A Million. " is about of what he see's around him as a teenager and his life and takes a walk into things that made them special like Love, Life, Friends and memories. He has also composed & collaborated two songs which have got him media attention, ‘Kyun’ was the campaigning song on - The U-Cube Project, an NGO against Child abuse. ‘Beautiful World’ is the campaign song of Sidharth’s own NGO, The Beautiful World Movement. His music has been primarily influenced by artist such as Maroon 5, Ed Sheeran, Cold Play, Shawn Mendes. He's been performing across the all the popular venues in Hyderabad. Sidharth began writing lyrics since 2015 at the age of 15 and by the age of 16 he had already written and composed his first song - " One In A Million " which is also the title of his EP. He's also performed for the upcoming season 6 of Music Mojo for Kappa TV one of South India's leading music channels that promotes indie musicians.